I’m sure most people wouldn’t think of chicken adobo as a breakfast meal item, but it is, lol! I don’t think there’s much difference in the kinds of foods that Filipinos eat for different meals. I’m all for it! 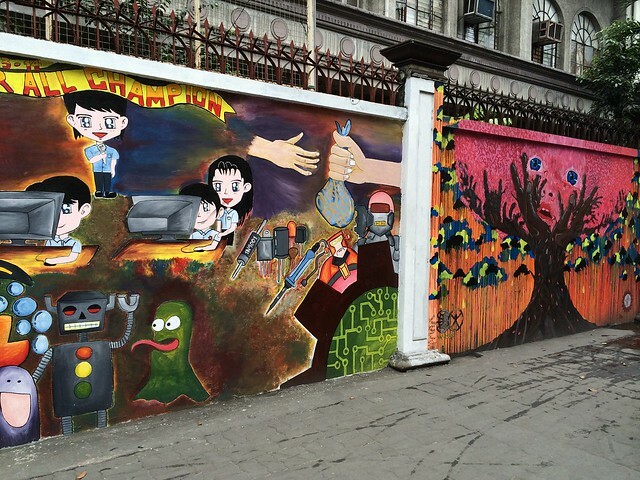 Street murals, Ayala Blvd, Manila. 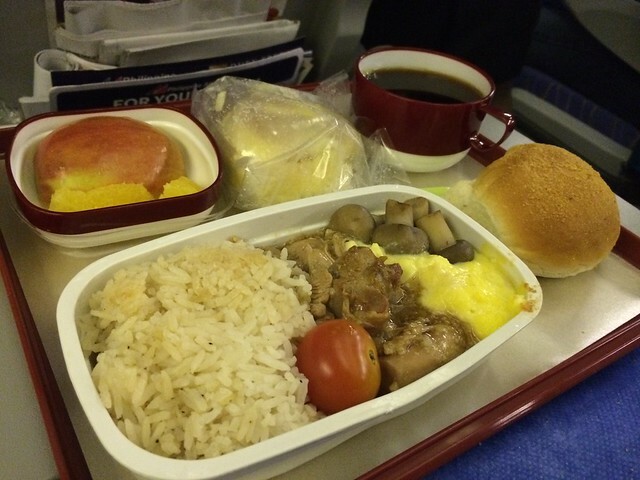 This entry was posted in Airline, Philippine Airlines and tagged bread, chicken, food, fruit, mushroom, tomato by vicentesf. Bookmark the permalink.